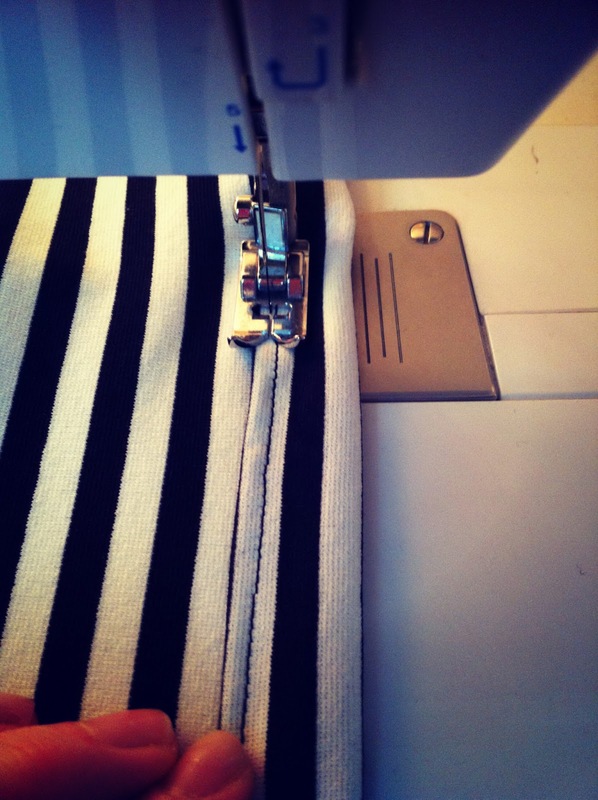 Refashion Co-op: Lets get Nautical! DIY shorts sur mesure! Lets get Nautical! 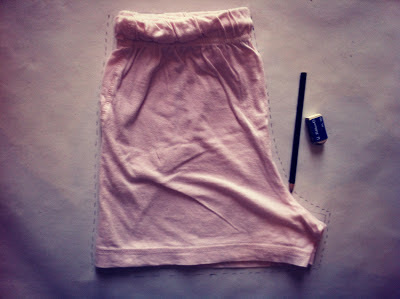 DIY shorts sur mesure! 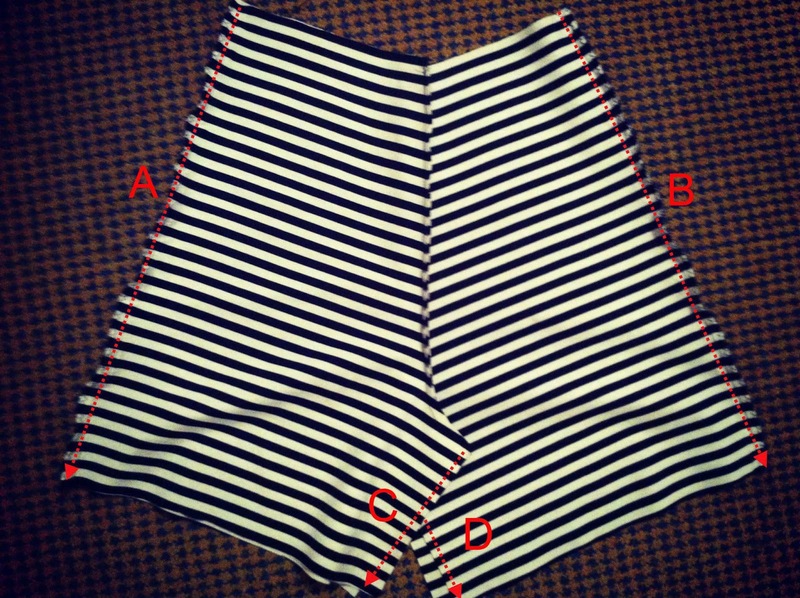 To draft your own pattern you need a pair of shorts you've got and you like the fitting. 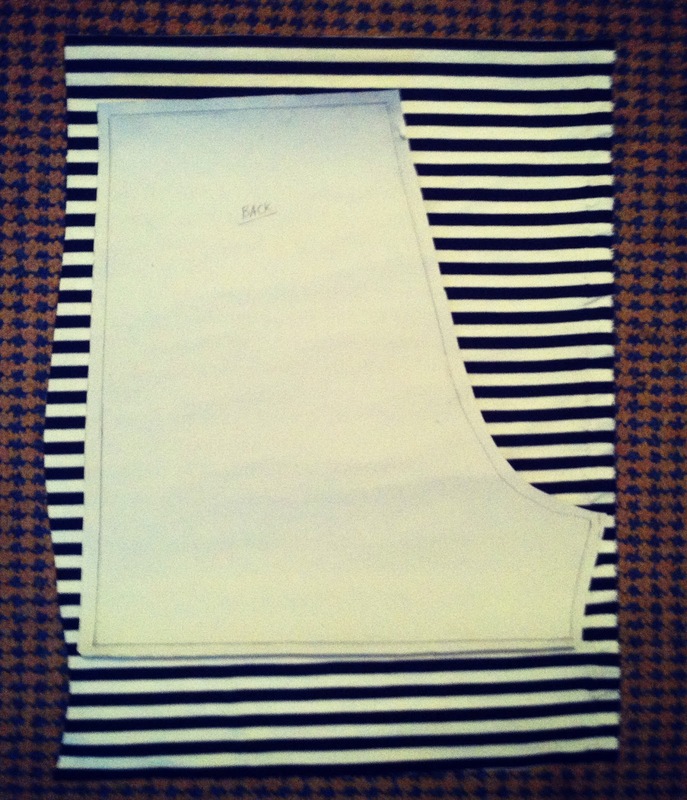 You fold the front part and put it on the pattern paper. You draw its shape on the paper with a pencil and it's ready. You repeat the same process for the back part because it is different from the front side. It's time for some action! 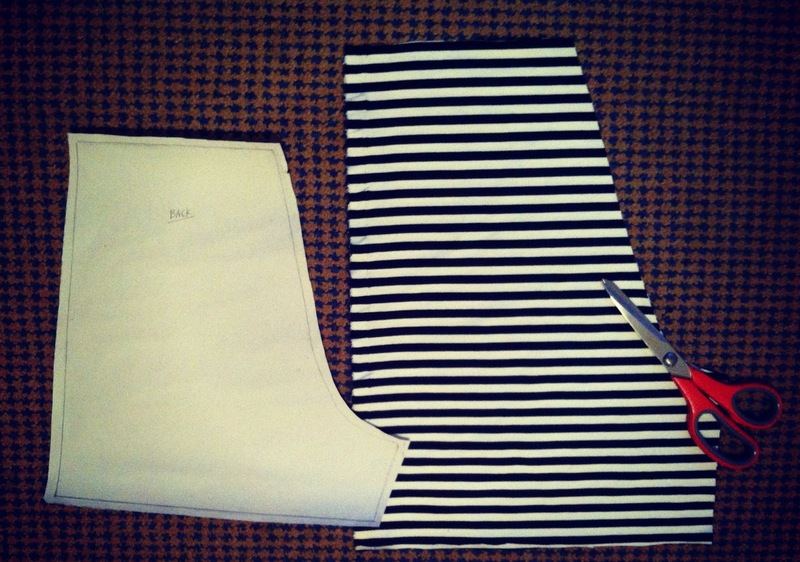 Fold your fabric in half and place your paper pattern on it. I started with the back part. Now cut out your fabric! You must repeat the same for the other part. Lay the front part together and sew where I've pinned. Repeat the process for the other side too. 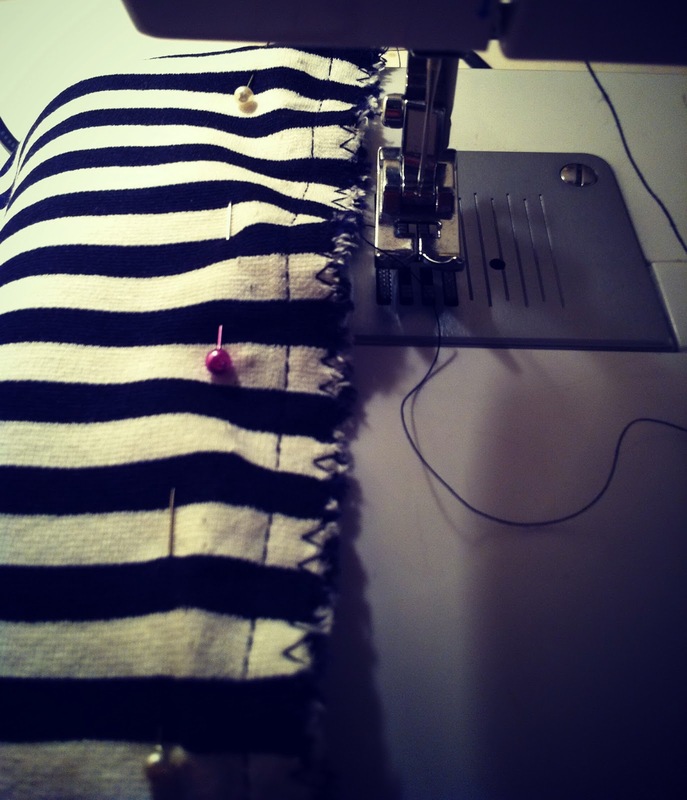 After sewing, it should look like this. Ok, now take the front side and the back side and lay the right sides together. 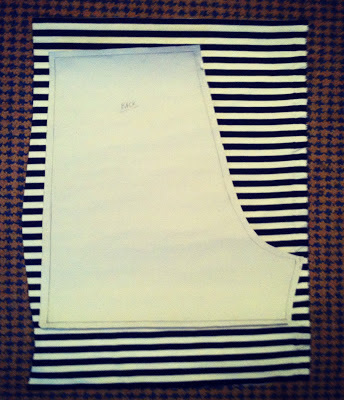 Next, sew up the outter leg seams A and B and then the inside leg seams C & D.
Do not forget to do the zig zag stitching. It will prevent the fabric from fraying. 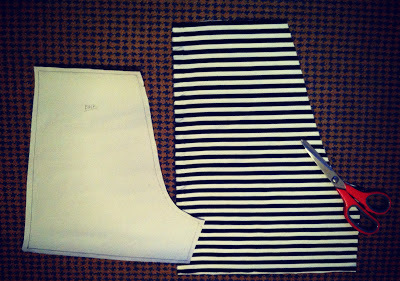 So, now it is time to make the hem at the waist. 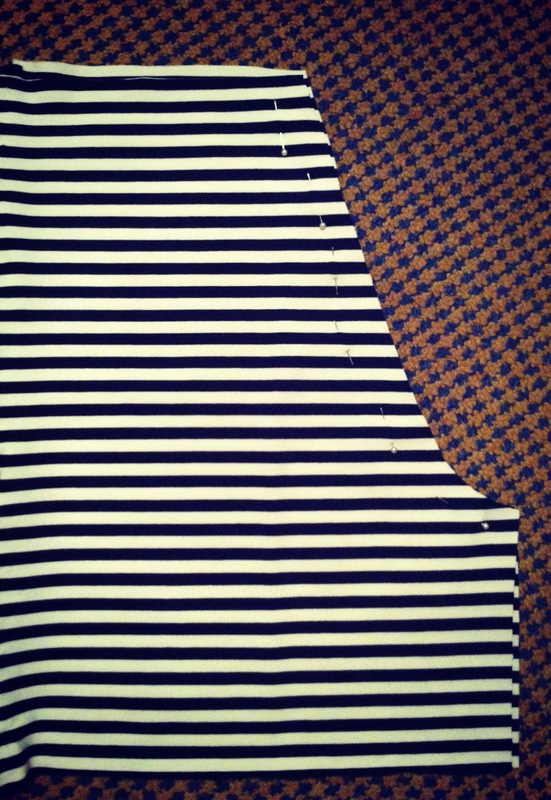 You fold the fabric and sew it at the inside part of the waist. You leave approximately 5cm open for the elastic band. Pin the elastic band and start passing it throught the tube. To find the suitable length of the elastic band, measure the elastic band around your waist. I simply put on the shorts and set the correct length for my waist. Now, cut out the excess elastic and stitch the two sides. 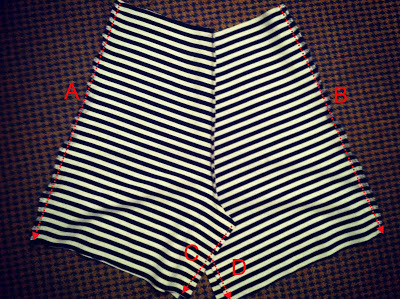 Then sew the open seam and a new pair of shorts is ready for you to enjoy summer! Nothing like a good step-by to help you plan the weekend's projects!